Summer is Here and those scorching temperatures are back as well! Beat the heat this summer by participating in our July Research Drawing! You could win a 12 foot Pool or Cash! Galloway Research is currently looking for participants in the San Antonio, Texas area for upcoming opinion research discussions regarding a variety of different topics. Sessions will last from 45 minutes to 2.5 hours and participants will receive between $45 and $175 cash for their opinions depending on the session topic and length. If you are interested in participating please visit the following link to answer a few short questions for qualification purposes. Your answers will remain confidential and will never be used for sales purposes. 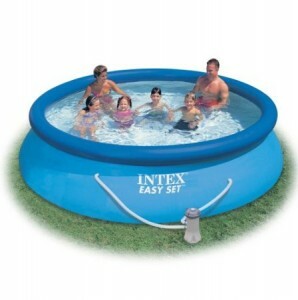 All individuals completing the short questionnaire below will be entered into a drawing for (2) $100 Cash Prizes or (1) 12-Foot Intex 12ft inflatable pool (Pictured to the right). Winners will be announced July 30th, 2013 on the Galloway Research Facebook Page. One entry per person. Multiple entries will be disqualified Entries must be received by July 29th, 2013 11:59pm CST.